NEW YORK — Manuel thought he, too, would become a victim. The undocumented Puebla, Mexico, native had only been working in the United States for eight months when he witnessed a gruesome hammer attack at his Sheepshead Bay, New York, workplace that left three workers dead. On Jan. 15, 2019, the early dinner crowd had begun to fill Seaport Buffet, a casual seafood dining spot in the immigrant-rich Brooklyn community, when 34-year-old suspect, Arthur Martunovich, strolled in. Without warning, Martunovich allegedly pulled a hammer from a backpack and bludgeoned the restaurant’s manager, Thang Kheong Ng, a Malaysian immigrant. According to police reports and surveillance footage, Martunovich walked to the kitchen, swinging at co-owner Tsz Pun and his nephew Fufai Pun, a chef. All three men were Asian. All three died from their injuries. Manuel, an undocumented immigrant from Puebla, Mexico, witnessed the Jan. 15 triple homicide attack at Seaport Buffet. Manuel, a kitchen worker who asked that his last name not be used because of his undocumented status, recalled how blood splattered the kitchen floor. “This is how it ends,” he thought to himself. In broken English, he pleaded with Martunovich. “He looks at me and responds, ‘No problem, China. China,’” Manuel told VOA in Spanish. Viewed by some of the restaurant’s workers as an isolated incident, statistically, Manuel could have easily been a victim. In the U.S., Hispanics are nearly twice as likely to be victims of violent hate crimes as non-Hispanic whites, according to U.S. Bureau of Justice statistics. Nationwide, immigrants are increasingly targets of hate groups, according to Heidi Beirich, director of the Southern Poverty Law Center’s (SPLC) Intelligence Project. President Trump has often pushed a narrative that immigrants, particularly undocumented ones, are disproportionately criminals. According to a 2018 report by the Department of Homeland Security (DHS) and the Department of Justice (DOJ), 21 percent of individuals in the custody of the Federal Bureau of Prisons (BOP) were “known or suspected aliens,” legal and undocumented, in the first quarter of fiscal 2018. Among them, 46 percent had committed drug-related offenses; 29 percent had committed immigration offenses. Missing from the data are allegations of racial profiling and illegal searches that occur during immigration arrests, actions that CBP prohibits as a matter of policy, which place people of color at increased vulnerability. Martunovich, an Estonian construction worker whose legal status is unknown to VOA, allegedly told law enforcement officers that a movie about Chinese men’s abuse of women motivated his attack, according to a New York Post report. 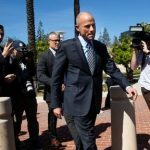 In interviews with The New York Times and the New York Daily News, his co-workers, friends, and family cited a history of mental illness, claiming he was institutionalized several years ago. Martunovich was arraigned on a 21-count indictment, including three counts of first-degree murder and six counts of second-degree murder as a hate crime. He faces life in prison without parole. A New York Police Department spokesperson declined an interview with VOA because of the ongoing criminal proceedings. The Brooklyn District Attorney’s Office told VOA that hate crime charges had been considered from the beginning of the investigation. 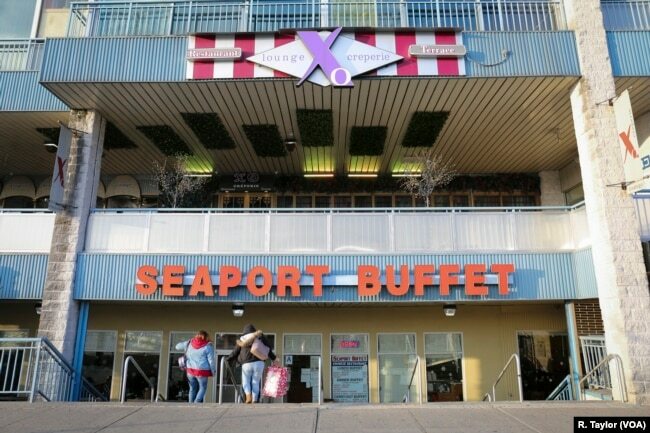 Seaport Buffet’s clientele reflects the diversity of the New York neighborhood, which is largely Russian, Hispanic and Asian immigrants. Months since the triple homicide, interim manager Edwin Cheng said workers are still shaken. Some had seen leaked video of the attack on the popular Chinese social media app, wechat. None of the female workers wanted to be interviewed, he said. Scott Deng, a Chinese immigrant and recent hire at Seaport Buffet, filled the shoes of workers who were not ready to return. He refused to watch the video, calling it “too cruel.” But he was not worried that a similar attack could happen again. The restaurant’s clientele, after all, reflected the diversity of the neighborhood — a microcosm of New York, with a substantial community from the former Soviet Union and more recent growth among Chinese and Hispanic residents. Since the attack, Cheng said loyal Russian customers approach and hug him, “holding me like a little kid,” sending condolences and promising to continue to support the business. 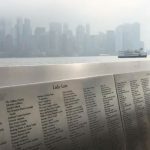 But in Sheepshead Bay, which is 75 percent white, the killings of three Asian men underscores an omnipresent trend of hate crimes committed against minority groups, driven in part from demographic change in predominantly white communities. Nationwide, FBI-reported hate crime incidents were up for the third consecutive year in 2017. According to the data, roughly 60 percent of 8,493 victims were targeted because of race, ethnicity or ancestry bias. As Beirich warns, hate crimes are vastly underreported nationwide. “The FBI doesn’t even capture 5 percent of the data,” she said, citing a 2017 Department of Justice report that estimates an average of 250,000 hate crime victimizations every year. Absent an established level of trust with law enforcement, as is often the case among undocumented immigrants, victims and witnesses may be less inclined to report the crime or seek help. Edwin Cheng, Seaport Buffet’s interim manager, says counseling has become an added management responsibility. Besides being the restaurant’s manager, Cheng, who is trilingual and of mixed Chinese and Guatemalan descent, has played counselor and “big brother” to the men and women who witnessed the attack. Generally speaking, he said, the restaurant’s Latino employees lack the same support system afforded the Chinese community, partly because of legal status and smaller family units residing in the U.S. Overhead, a soft piano score runs through Seaport Buffet’s dining space. There is an occasional clatter of plates, but booths are more than half-empty at 5:30 p.m. Conversations are easily overheard. On the production line, Manuel is busy loading egg rolls with cabbage and pork. Wearing black earbuds, he drowns out the clanging pots around him. For his part, Cheng channels Tsz Pun, a longtime family friend. “Nobody would guess he was the owner,” Cheng said. “He would help out the cashier. He would help out the host, help out the kitchen, clean up tables. He did everything.